Purchasing the children clothes, provisions and – oh let's we forget the routine schedule for anti-natal. The time of pregnancy is awesome! Although, some women are bound to lose touch on their sense of fashion during this time. But common guys! No blame game. We all know it's not an easy! So, this post is for every woman who falls in this shoe. Dedicated to the mothers-to-be: . Finally how to pair your dresses with the right accessories. Postpatum foresight: Would you be able to wear the dress after the 9 month period. According to Webmd, on average a woman gains 25 to 30 pounds of weight during pregnancy. It's necessay to always take into account that weight changes during pregnancy may just be transient. What size of dress to wear during pregnancy? Go for a size that is at least a bit more than your real size. Any thing more 'll likely result in the dresses becoming oversize after the 9 month period - since many women 'll likely shed some of the weights later on. 2. What type of dresses to wear during pregnancy? One more thing to consider is the style of dresses. Why is this important any way? Dresses come in different designs – each of which has its specifics. For instance, a bodycon dress highlights the body figure, a princess dress tighted the bodice, while crop top draws focused attention to certain body features. Not all styles are suitable for the maternity period. According to Mayoclinic, tight dresses pose the risk of more sever cases of meralgia paresthetica for a pregnant woman – a condition in which excessive pressure exertion on the femoral cutaneous nerve results in numbness, tingling and burning sensations and other form of symptoms in pregnancy. 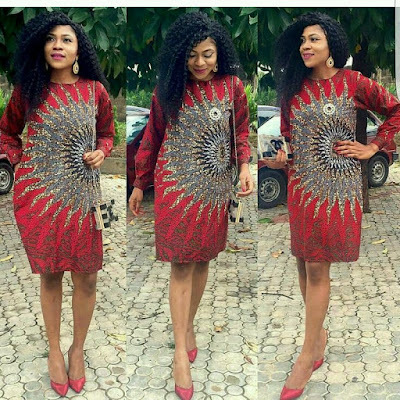 In this post we will feature some of the best Nigerian traditional maternity dresses. 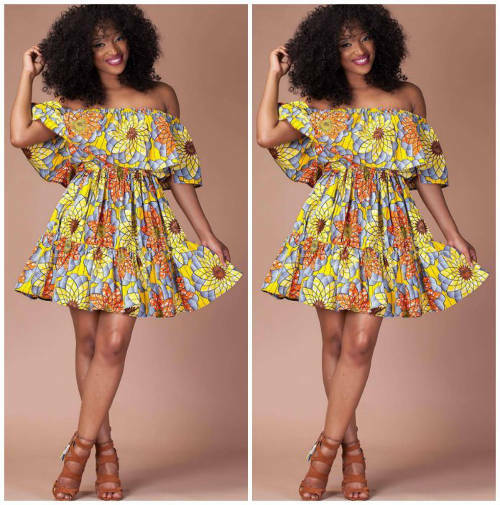 Firstly, this list of African print maternity dresses is based on selection of clothes and designs that will not pose health risks or complications for the baby. Gown comes first on list. Why? Well, probably gowns were designed to be worn as maternity outfit after all. There are different types of maternity gowns sewn with ankara. A gown – short or long gown gives with sufficient free space for the tummy allows the baby to play around while at the same time keeping the woman's fashion sense up with the trend. 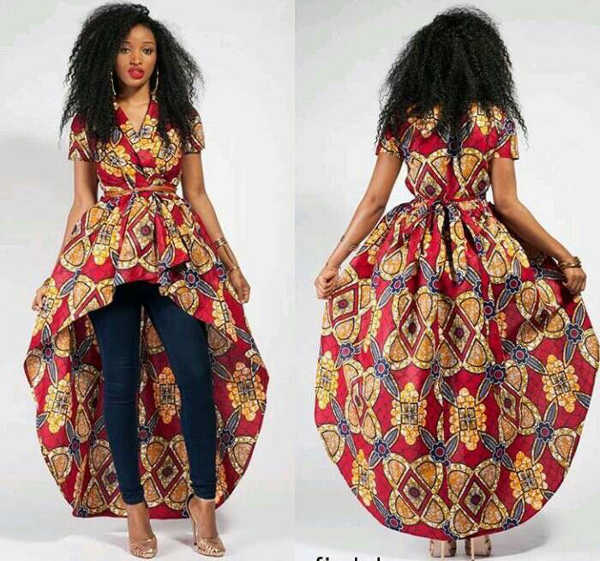 Here's a picture of ankara maternity gown style: A short ankara butterfly gown which can be worn as a pregnancy attire. A peplum is a relatively small attache to the main attires. 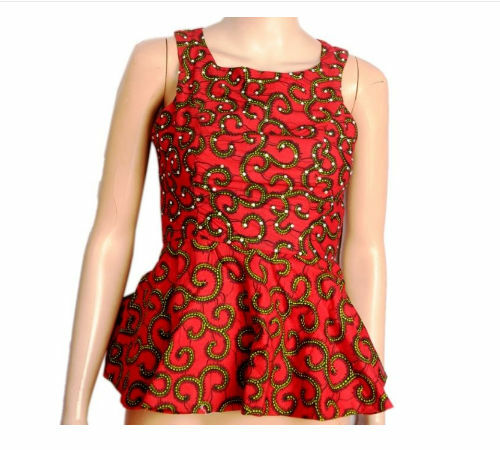 The peplum can be featured on the sleeves of the dress or the bodice. A dress featuring a modest volume of peplum at the bodice is a great choice for a pregnant woman. 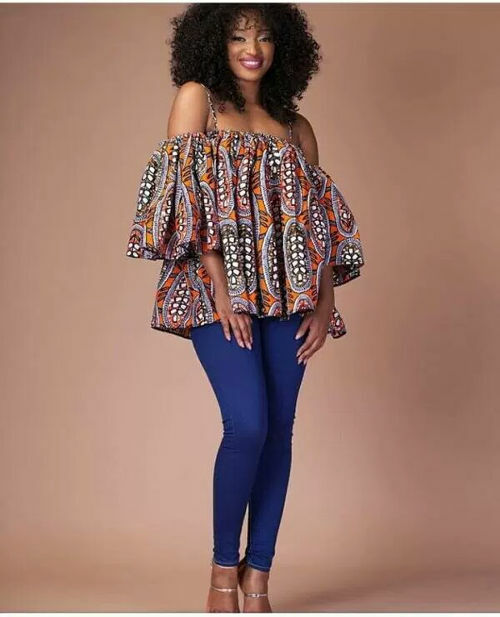 In the real sense of it, an ankara crop top style is meant to draw a focus to specific part of the body. Notwithstanding, a crop top is a fantastic in door suggestion for the maternity period. The reason is simple: the crop not frees off the belly and eases off the tension on the womb. Maxi dresses are loose fitted and mostly floor length. High-low clothes also are mostly designed like wise. Maxi and high low with free bodice can be safely worn by a pregnant woman due mainly to their loose fitted designs. Sash and belts are often worn with maxi dresses by many women. For a pregnant woman - you probably don't need one in this period after all. But if you must wear a belt or sash, don't go tight – for the sake of comfortability. Related: Latest Nigerian lace designs to check out. Blouse, Jackets and Suits all look good on every random office lady. Now, the rule is no different for maternity fashion. Flounce and peplum blouses or jacket and suits are fantastic corporate maternity styles for a pregnant lady to try out. The said blouses, jackets and suits can be worn with skirts, denims or a pair of plain trousers. You can also throw a nice top on skirts. 8. What about a sheet dress for pregnancy? Another choice of dress for a pregnant woman is the sheet dress. Despite being modest, a sheet dress is elegant and can be worn to different types of outings. A sheet dress by design attracts less attention to the baby bump – which might be desirable for some women who naturally seem to be relatively on the heavier side during pregnancy periods. There are many stunning designs of lace dresses and ankara styles for pregnant mothers. So, let's rock the baby bump with style - and oh yes, teach the foetus some fashion rules. Really! Till next time, safe delivery to all mothers to be!